If you are looking to explore a new winter sport or improve on your Cross Country skiing skills, Snow Dogs is your best bet. There is something wonderful about sharing winter with your friends on snow. Join active Nordic and Alpine skiers over age 50 in winter camaraderie, great coaching and plenty of fun! This season long program will offer a wonder of possibilities on our Olympic trails. Join fellow homeschool students from Essex, Clinton and Franklin Counties this winter. This program is designed to launch a life-long love for cross country skiing. 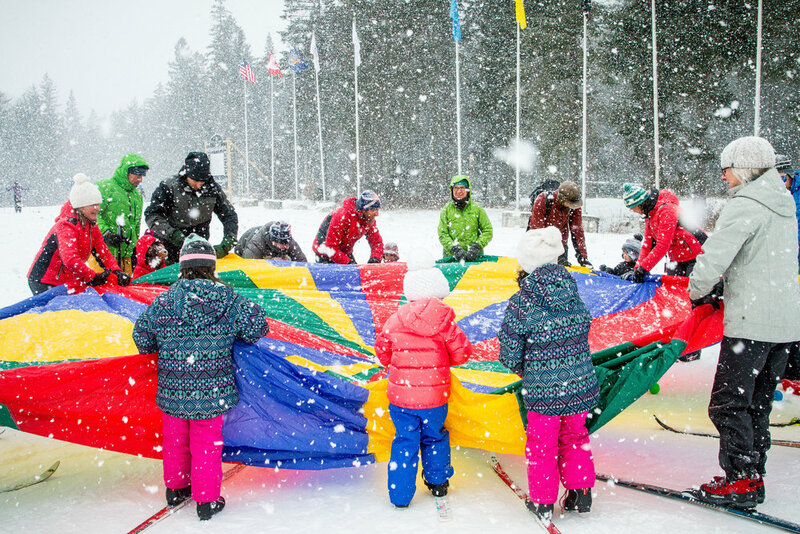 Games, fun drills and experience will develop skills and confidence for skiers to take in any direction. 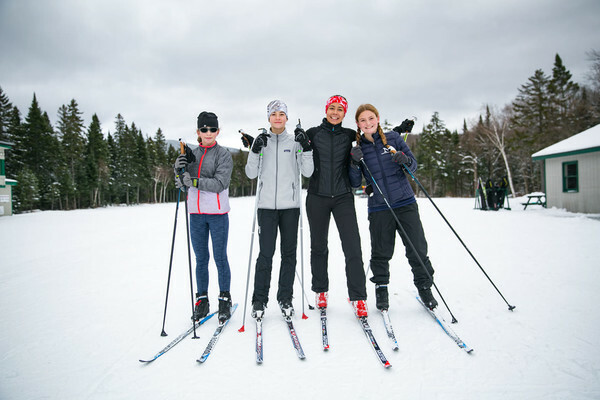 Individuals will learn technical and mental skills through experience, games and exercises that will create a solid foundation for a life in skiing. A "mom and me" program for children ages 2 to 4 (dads and grandparents welcome) designed to introduce toddlers to skiing and snowshoeing in a fun environment. 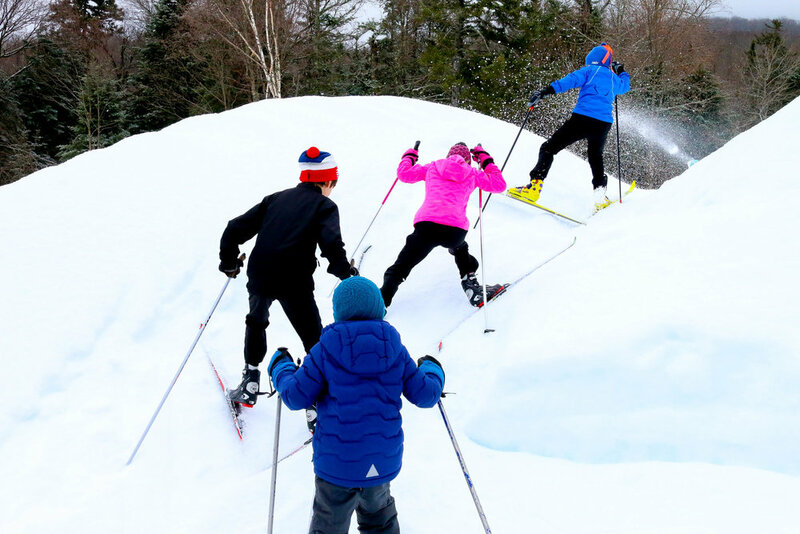 This unique program—built for kids ages 8 to 13—combines fun cross country ski courses and paintball guns on a specially-built range. Join one of our PSIA Certified Mt. Van Hoevenberg Ski School Instructors for a lesson. Improve your technique in a fun learning environment.